It’s that time of the year again, a new Kamen Rider series just around the corner and that means new rumors surrounding the next series are popping up in anticipation of the 1st quarter toy scans. This year it’s Kamen Rider Zi-O, which is set to be the 20th and final season in the Heisei Era of Kamen Rider. As it’s the beginning of July the 1st quarter toy scans should be here in a few weeks so that means early rumors have begun to pop up. Time seems to be a very important theme of Zi-O. The first silhouettes from the latest TV-Kun had shown Zi-O alongside the previous 19 Heisei Riders, each year for the series was written in the style of a digital clock. Zi-O also seems to have some sort of wrist watch like device, which is rumored to be his transformation device rather then using a belt. 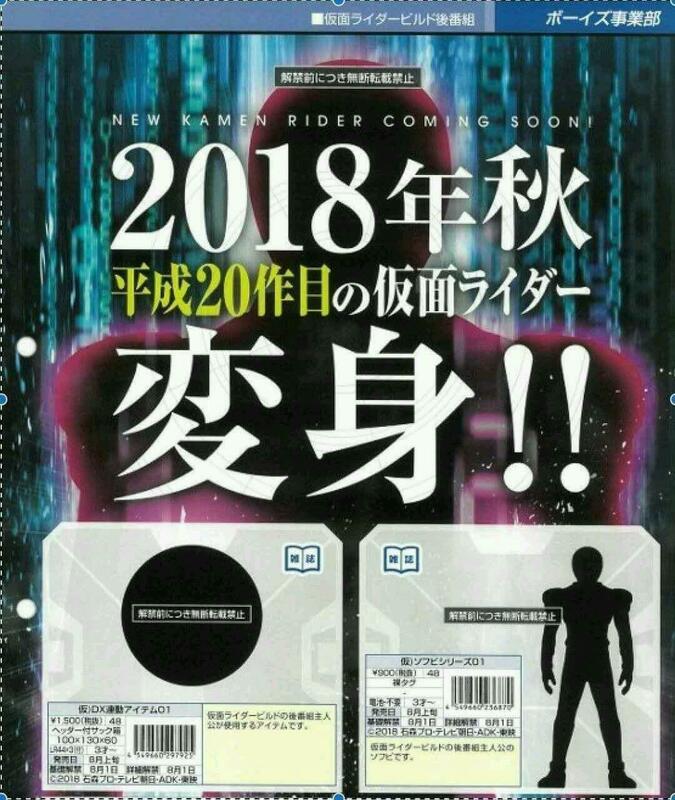 It’s assumed the disk silhouette from the early Zi-O scans would be the 24 Clock Devices and the Rider silhouette would be a base form for him to go to 10PM to get the Zi-O form seen in the new silhouette. As of this time it seems likely Zi-O will have some sort of time theme and relate to Legend Heisei Riders to some capacity. Only time will tell what or if any of these rumors are true. For all news on Kamen Rider Zi-O stay tuned to Toku Toy Store. What do you think of these Zi-O Rumors? What do you want to see from this new Rider series? Leave a comment down below! 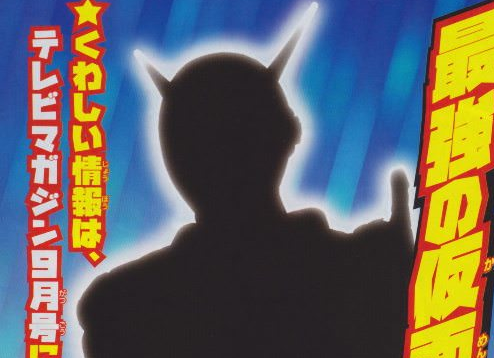 The first silhouettes of ZI-O and his gimmick have been revealed! (sort of). The speculation begins now on what this rider will look like and how they’ll portray themselves on screen. In this article, we’ll have viewpoints from everyone at Toku Toy Store, so be sure to have a read and cast your votes on what you think the Rider will be like! “The silhouette gives us little to go off, but if it’s anything like the final design it’ll be a very unique Rider. The body is very Heisei themed, but the simple head sculpt feels almost Showa in a respect. With each aspect of the suit we see, we’ll know more on whether this is rider is designed like Showa, Heisei, or something completely different to welcome in the new Era next year in Japan. 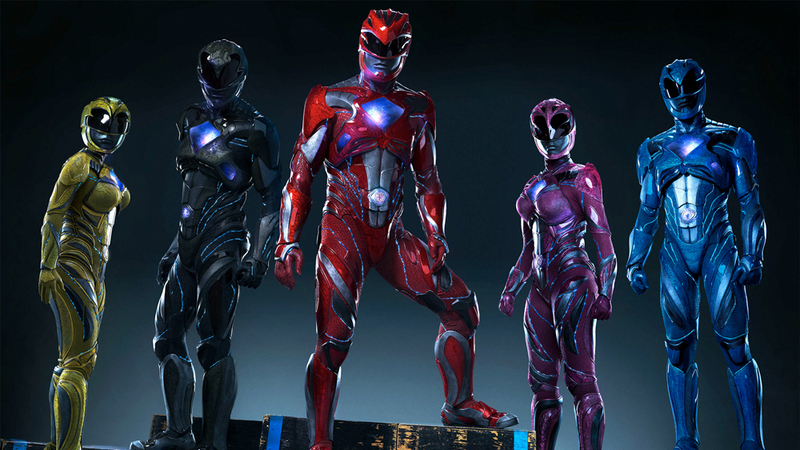 The gimmicks could be a similar theme to what we’ve seen before, or something totally unique that would reflect this new design of suit. How they’ll move and how they’ll act when on screen will also influence this, as every era have had different movesets influenced directly by their respective eras. Will this be a serious Rider? A childlike Rider? Only time will tell. We will definitely know more once we begin seeing actors surface, but for now the speculation is always exciting! “The digital/computer code background really jumped out at me, at first glance. It’s reminiscent of many of the Ganbarizing promotions that we’ve seen over the years which leads me to think that Zi-O will have access to other Kamen Rider forms using a connection to a database of some kind. The silhouette doesn’t really give us much to go on but the fact that it’s so plain could mean that his default form is a template up on which other forms and upgrades are impressed. Either that, or perhaps were getting an old-school bugman Rider without the crazy appendages we’ve become accustomed to ok the Heisei period. We even got some opinions from our usual episode review writer, and our very own SODO Sundays host! “Not much is out there right now for Kamen Rider Zi-O, but what is known has me excited. According to what rumours are out there, Zi-O will be a globe-trotting adventurer type of character. I’m hoping this is something similar to Indiana Jones, or maybe even the PlayStation game series Uncharted. At this point, it is too early to say, but now that we have seen at least a silhouette of Zi-O, let me make some predictions. The head of the suit, in base form, will be a globe. As the top is rounded, I see this being likely, as well as possibly including some adventuring gear or other world-themed designs on the body of the suit. Even our own toy reviewer, and host of Mint In Box Reviews, Richard chimed in. “Kamen Rider Zi-O is shrouded in mystery and that what makes speculation so hard. The name itself, Zi-O, is still having it’s pronounciation debated among fans (Geo? The King? Who knows!) Then there’s the fact that Zi-O will be the first of a new era of Riders and with sparse details, there’s nothing to go on except a silhouette of the main rider form and the gimmick, being a relatively simple design compared to Build and what appears to be a coin. What do you think to these early release images? What do you speculate Zi-O will be like? Please, do let us know! This is an exciting time for everyone! In a surprising leak, Kamen Rider Zi-O (Zeo? Geo?) has been revealed for 2018-2019. The name appears to come from a credible source, pictured below, and thus begins the rumours and leaks for another year. 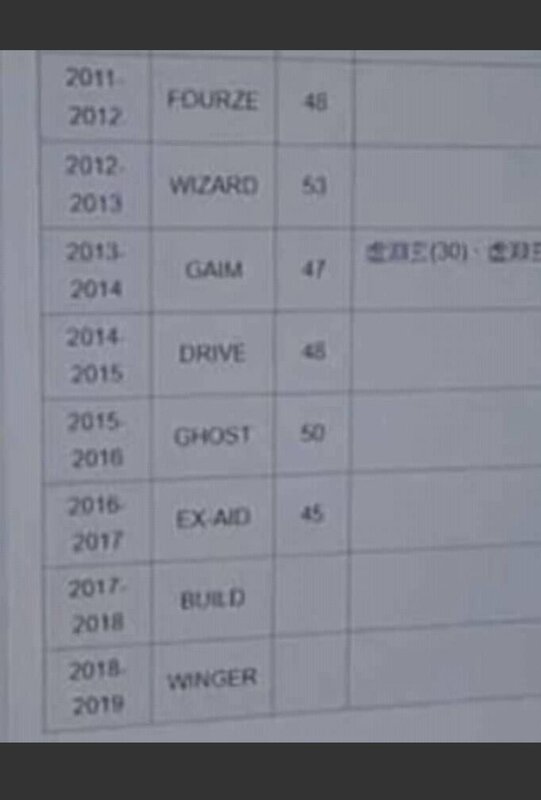 It seems it was right around this time last year, during the initial run of Kamen Rider Ex-Aid, that we got the first rumours and the leaked name of Kamen Rider Build. 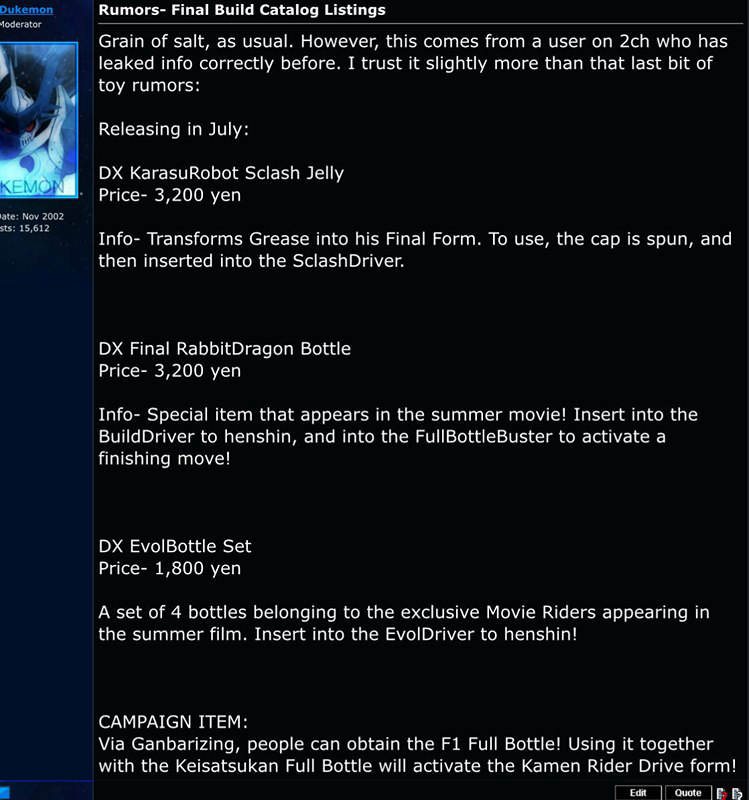 If true, this would line up with the earlier rumoured leak of the world- traveling hero, Kamen Rider Geo. 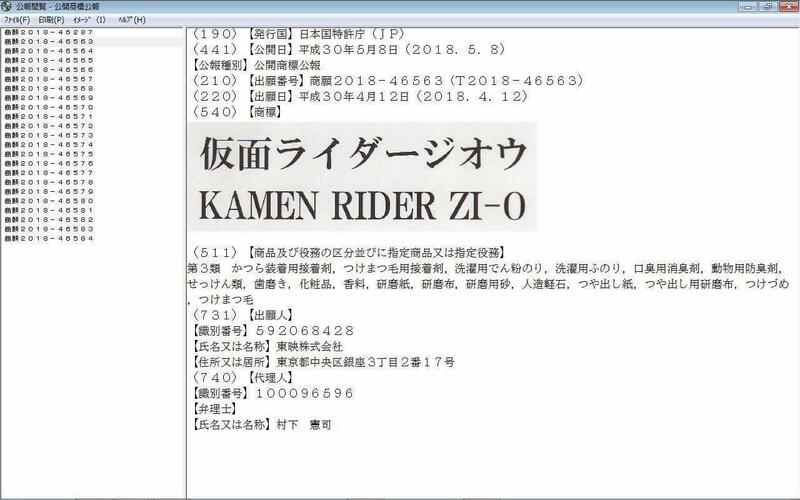 So far, no information has been revealed about the plot, cast, production team, or gimmick items, but stay tuned for more details and speculation as we ramp up to the premiere of Kamen Rider Zi-O following the conclusion of Build later this summer. What do you think this rider’s theme will be? Let us know! 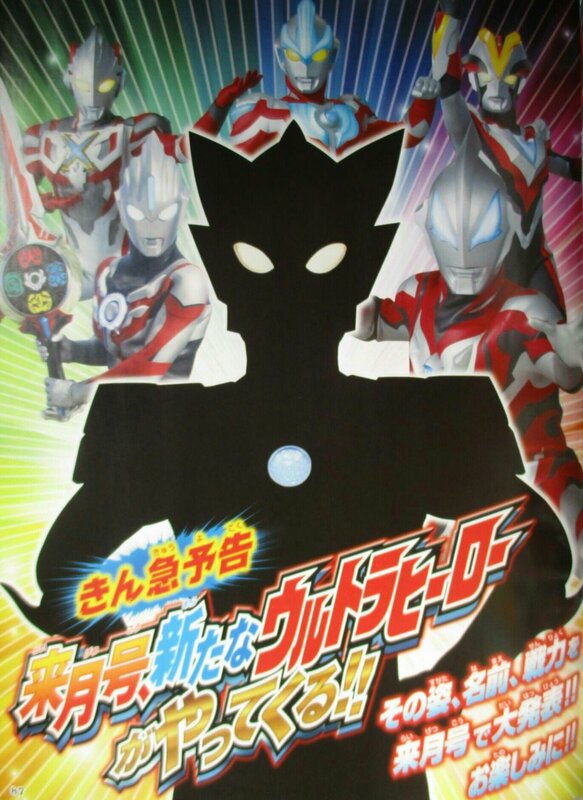 Some exciting news is coming out of Tsuburaya Productions today as we have been given our first glimpse at the 2018 Ultraman, at least in silhouette form. In the image below, we get our initial look at the new character, unnamed as of this writing. Tsuburaya has trademarks for three new character names currently, leading to a few possible theories. One is that the name is not final; another, that we will have multiple lead characters this year. 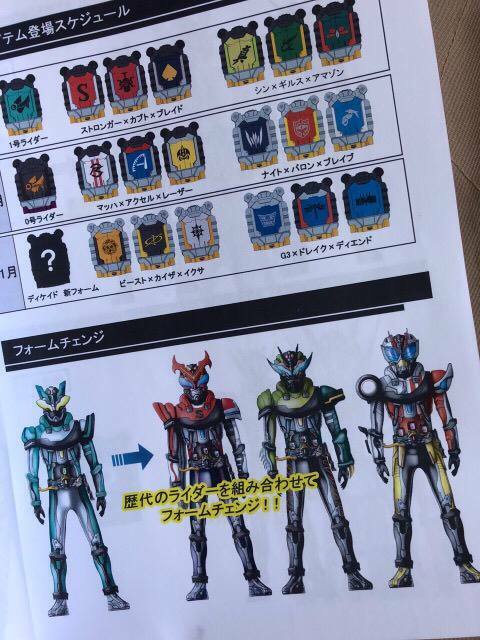 As of this writing, we have the possible names Ultraman Lube, Ultraman Rosso, and Ultraman Bull. 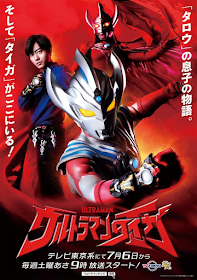 A fourth name, Ultraman Bright has also been floating around the rumor mill, as well as speculation that the new Ultraman for 2018 will be the son of Ultraman Taro, in the same way Ultraman Geed was the son of Ultraman Belial. Any rumors, at this point, are purely speculation, but the possibilities are very exciting nonetheless. You can find updates here as they become available, and look forward to Ultraman 2018 premiering later on this year. What are your thoughts on this new development? Leave a comment below! Kamen Rider 2018/2019 Title Leaked?! SADLY, THIS HAS TURNED OUT TO BE FAKE! ALWAYS REMEMBER TO READ THESE WITH A GRAIN OF SALT! Looks like Bandai Japan could have very well messed up on this one! A dedicated website to the company has left details in on one of their listing sites that seems to show the title “Winger”. Always remember to take these with a grain of salt, but as opposed to a standard rumor, this is actually a leak and Japanese fans are going nuts over this news! Could Kamen Rider Winger be our upcoming hero once Build has finished? What motif do you think Winger will be?